I do not get along well with machines, with the notable exception of microfilm readers. These windows into the past always bring delight in some way, either in finding the piece of history I seek or yielding some unexpected treasure along the way. That’s what happened the other day. On the way to finding information about a game played on June 16, 1929, I couldn’t help noticing a gaudy box score from a game played the previous day. Let me tell you about that incredible game. The New York Giants finished a four-game series at Pittsburgh’s Forbes Field that day, and it took 4 hours and 17 minutes to wage a 14-inning battle. The final score was 20-15 in what William E. Brandt of the New York Times called “a fearful and wonder spectacle” ending in a “relay carnival” of 11 runs scored in the final inning. The Giants seemed to have it wrapped up when they took a 9-1 lead in the 5th inning, but it wasn’t that easy. The Pirates fought back and tied it at 11-11 with three runs in the bottom of the 9th. They even had the winning run at third base with one out, but Giants reliever Bill Walker retired Paul Waner and got the third out to send the game into extra innings. The game went merrily on after Traynor’s blast until things exploded in the 14th inning. Edd Roush of the Giants led off with a triple, and when Pirates manager Donie Bush protested the safe call at third base, he was ejected. A near-riot ensued, with fans tossing pop bottles onto the field and trying to rush the umpires, only to be held back by police. After the mayhem subsided, Larry French came in to pitch for the Pirates, and the Giants roughed him up for seven hits and eight runs. The Pirates could only get three of those back in their half, and the Giants escaped with their 20-15 triumph. In the 5th inning alone, they were perfect with seven hits and a walk. In the top half, Roush began a four-run rally with a triple. Lindstrom, Ott, and Terry added singles, and Jackson capped the scoring with a triple. The Pirates sandwiched singles by Lloyd Waner and Traynor around a walk to Paul Waner for their run. When we watch a game, we know who the stars are. We can look at the lineups and anticipate a cluster of likely Hall of Famers putting on a great show for us. That was not the case on June 15, 1929. Apart from the fact that the Hall of Fame did not yet exist, only half of the eight future immortals who excelled that day were established stars. The others were youngsters who gave intimations of what lay ahead. Let’s take a closer look at who impressed the 25,000 fans in attendance at Forbes Field. EDD ROUSH (36 years old) was in his next-to-last season. Leading off for the Giants, the center fielder went 5-for-9 and scored three runs. His hits included two triples and three singles, and he had two hits in the 14th-inning rally. 1929 average: .324. FRED LINDSTROM (23), the third baseman, batted third for the Giants. He went 4-for-8, including a double and a triple, scored three runs, and drove in three. 1929 average: .319. MEL OTT (20) played right field and batted cleanup for the Giants. He went 3-for-7 with two doubles, driving in four runs and scoring twice. He was in just his second full season in the majors. 1929 average: .328 with 151 RBI. BILL TERRY (30) was in his prime, anchoring the lineup at first base. He went 4-for-5 plus three walks, scoring twice. 1929 average: .372, followed by a .401 average in 1930, the last National Leaguer to hit .400. TRAVIS JACKSON (25) batted seventh and had a better day than anybody. The Giants shortstop went 4-for 7, all extra-base hits--two home runs, a triple, and a double. He drove in seven runs and scored four. 1929 average: .294. LLOYD WANER (23) batted second for the Pirates. He went 6-for-8 with four singles, a double, a triple, and a walk. His triple in the bottom of the 9th tied the game. In his third season in 1929, the 150-pound center fielder hit .353 for the season. PAUL WANER, (26) Lloyd’s older brother, batted third and had a slow day, only 2-for-6 with a double and one run batted in. 1929 average: .336. PIE TRAYNOR (29) batted cleanup. He went 3-for-7, including that key 11th-inning home run, and drove in three runs. 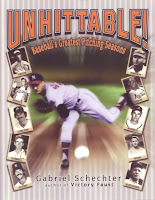 In his prime in 1929, he hit .356 and struck out a mere seven times in 540 at bats. 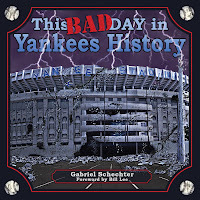 Eleven pitchers, a record at the time, paraded to the mound, and only a couple of them escaped the carnage that added up to 35 runs, 52 hits, 21 extra-base hits, and 14 walks. 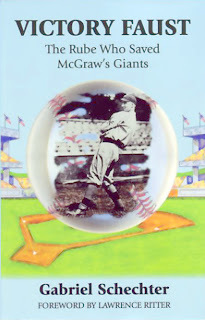 No doubt this was one of the games that made Giants manager John McGraw think it might be time for him to retire. McGraw, who had helped pioneer the brand of ball that featured bunts, steals, hit-and-run plays, and a quick-thinking style, wrote after his 1932 retirement that “this was no longer my game—the game in which a manager could ‘mastermind’ his club into a championship.” Instead, “the players win ‘em now by the crude and primitive method of striding up to the plate and slamming the ball out of the park—and there is no better method under existing conditions.” At least on June 15, 1929, McGraw was grateful to get the best of it in one of the more “primitive” slugfests in baseball history.